We are continuing on with Jesus and His disciples on that final night before His death. He has been warning them about what is to come, including telling Peter that he would deny Him. But everything He is telling them is couched in figures of speech. This is what caused His disciples to question what “in a little while” meant is our previous reading. Now Jesus admits that He has been speaking this way on purpose. Jesus has a reason for how He is sharing His most intimate secrets. He is keeping the enemy from learning the workings of the Father’s plan. 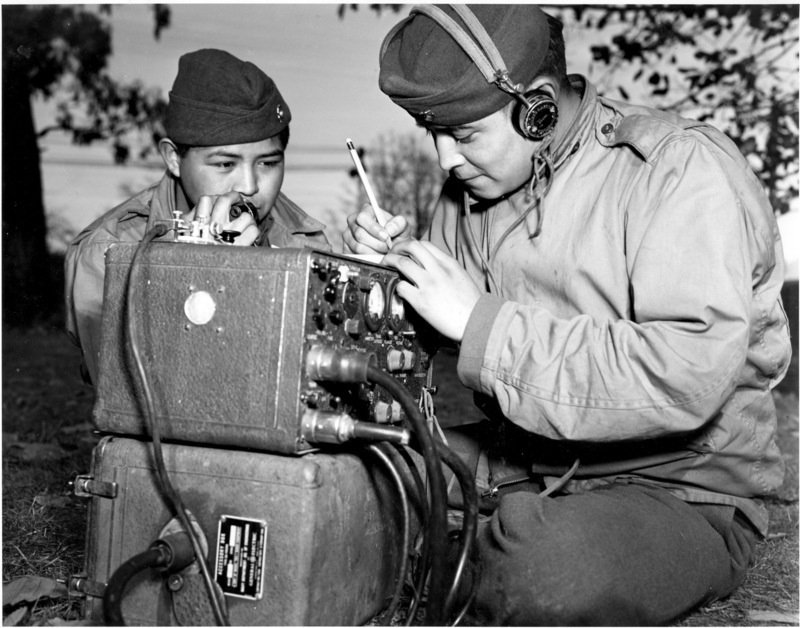 It reminds me of the “Code Talkers” in WWII. 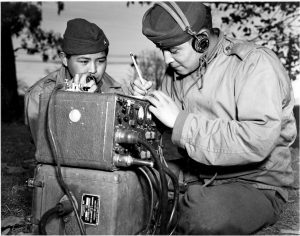 By the use of the Navajo language and representative symbolism, the enemy was never able to break the code and out soldiers had an advantage. Even if the enemy had known the Navajo language, they didn’t know the symbolism associated with the code. The simple words meant something more. That is how Jesus’ teachings, especially this night, were. The simple phrases “you can’t come with Me”, “in a little while”, and “I go to the Father” meant so much more than His disciples could comprehend. They were a language created by the Father and Son to represent the greatest secret gift ever given. Satan had no chance of “cracking the code” until Jesus was ready for it. Talk about 20/20 hindsight! Jesus tells His disciples that it won’t be long before He speaks plainly to them, but they think they fully understand what He was saying then. They didn’t have a clue! And Jesus didn’t want them to either. So many times He told them about His death AND resurrection, but they didn’t understand. I don’t know how many times during dinner He referenced the approaching events, but they didn’t get those references either. So close to Jesus but still so blind to the truth. This blindness was from the Father too. God had a plan that had to be completed in exacting detail. He brought out pieces in the Spirit when and where He chose. But the majority of the plan was left secret. But that would soon change! Soon the disciples would be rewarded for their belief in Jesus by open access to His Father. The Father loved them as much as His Son did, especially since they showed love to Him. Because they believed Jesus was God’s own Son. They wouldn’t be required to submit their request through Jesus but bring them directly to God. They would soon be welcome in God’s throne room. This is the same promise He gives to each of us. Through belief in Jesus Christ as God’s Son access is granted to the Father. When Jesus’ disciples claimed to understand what Jesus was talking about, He did an “Oh yah? I don’t think so” statement. He told them that every one of them would fall away that night. He even questioned their belief. Their certainty would be shaken in their faith. He wasn’t scolding them for their upcoming behavior but pointing out that they were still in the dark. Instead, He let His disciples know that He loved them and to not judge their own behavior too harshly. “I have said these things to you, that in me you may have peace. In the world you will have tribulation. But take heart; I have overcome the world” (verse 33). It’s going to be ok. I’m not going to hold any of your behaviors against you. God will watch over you in My absence and forgiveness is yours. Thank You Jesus for preparing Your disciples ahead of time. I didn’t have to go through the faith shaking events of Your death in the moment like they did. I can’t imagine how stressful it must have been. But You planted these seeds in their hearts so that, once everything was over, they would have one more witness to share about You. Thank You that You still do this sort of thing in my life. You take me through places I thought were confusing and a mess, just to bring me out the other side with amazing results! Thank You for the valleys in life, along with the rainbows. Thank You for Your peace, even in the darkest valley. I need to stop and let it envelop me instead of trying to fight my way through every time. « John 16:16-24 A Little While?